While you may not be holding the surgical knife or choosing your antibiotics, your role in your health care is very important. Being a good patient means more than not wincing when you get a shot. It means asking questions, learning about your illness or injury and doing your part to speed up your recovery. We hope the following information will help you and your family be more informed patients the next time you go to the doctor or the hospital. We’re inviting you to join us on the journey to better health. Most people depend on their physician who typically knows them well and understands which hospital would be best. However, it never hurts to ask questions and to do your own research. Review a brochure developed for Medicare patients that offers some good suggestions about how you can choose. Download a brochure that describes what to expect when you’re a patient, what your rights are, as well as what is expected of you. Everyone needs an advance directive, a document that describes what you would want done to you (or not done) if you become too sick to speak for yourself. All patients when they are admitted to a hospital are asked if they have an advance directive and if they brought a copy with them. Download an advance directive brochure that provides more information on Alabama's advance directive law (en Espanol). Download an advance directive form that you can complete and use the next time you go to the hospital. If you are too sick to get up easily. While the nurses do their best to get to patients as quickly as possible, sometimes they may be busy caring for another patient when you call. So, it’s always a good thing to have a family member or close friend stay with you to help you get to the bathroom, pour a glass of water or help adjust your television. For privacy reasons, you need to tell hospital staff who they can speak with about your condition. This is particularly critical if that person isn’t an immediate family member. You can choose whether or not you want to be listed in the hospital directory. If you are not in the directory, the hospital will not release any information about you, even the fact that you are in the hospital. Hospital Compare is a website available 24 hours a day, seven days a week. This resource can show you how well participating hospitals take care of their patients with certain conditions. 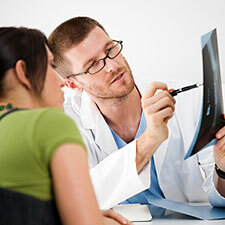 It also provides information on patient satisfaction. You can use this information when talking to your doctor or other health care professional about your hospital care. Medicare frequently adds new information and ways to measure care to this site. Hospital Compare will show how often hospitals gave recommended treatments for conditions including: Heart Attack, Pneumonia, Heart Failure and more. 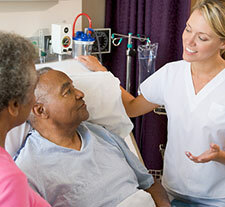 Get information about the quality of care in hospitals in your area. You can also receive this information by calling toll-free 800-MEDICARE (800-633-4227). Click to read information on how employers can help their employees become healthier and better consumers of health care services.